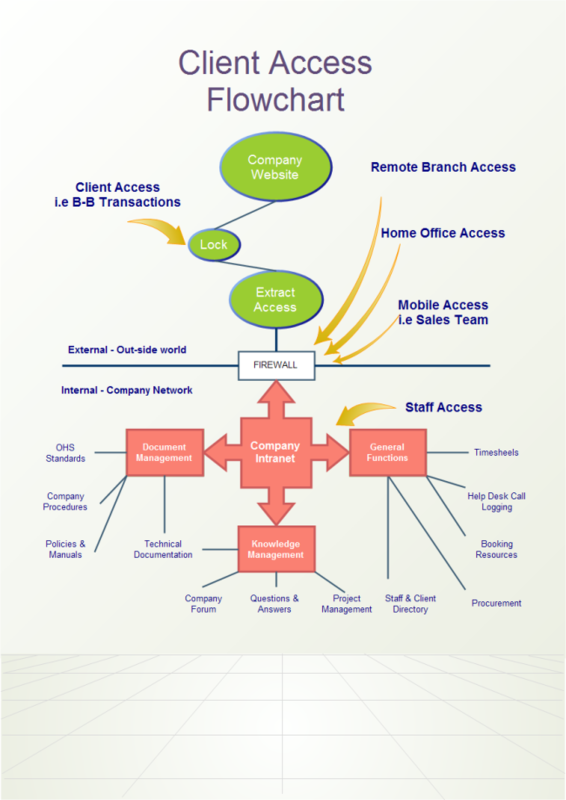 Description: A free customizable client access flowchart template is provided to download and print. Quickly get a head-start when creating your own client access flowchart. With vector shapes, auto generation and connection feature and seamless compatibility with MS Office, there is no reason it cannot parallel Visio.